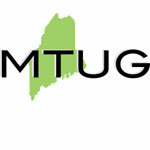 Join us at the 2016 Maine Technology Users Group (MTUG) Summit and Tradeshow! SymQuest will be an exhibitor at the 2016 summit to be held on June 2, 2016 at the Holiday Inn by the Bay in Portland, Maine. Stop by our booth during exhibitor hours to learn more about our helpdesk, hosted cloud, disaster recovery, copier, and print solutions for your growing business.